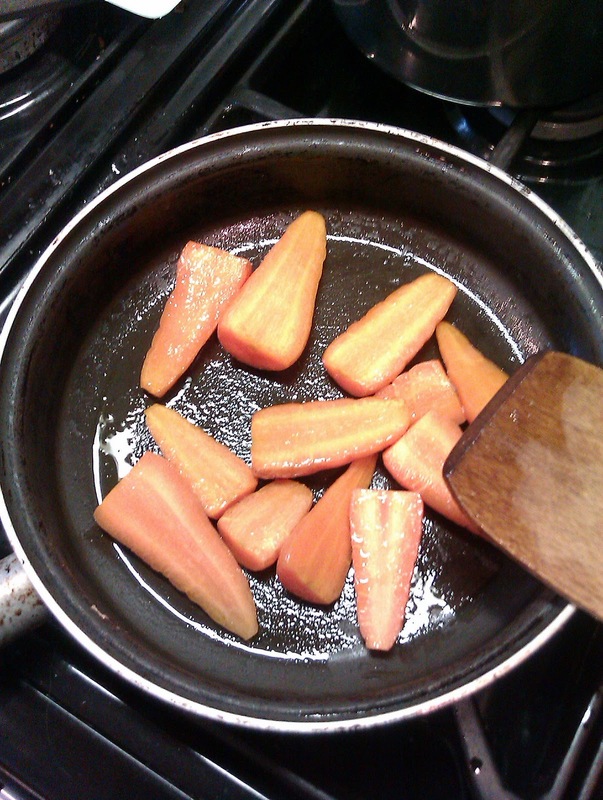 I decided to start this blog after cooking one of the most fancy sounding meals I've ever attempted: 'Pan Roasted Carrots with Arborio Risotto'. It's adapted from 'Easy Vegan: simple recipes for healthy eating' and the ingredients were easy to come across once I'd made a few changes. I did set out to do things 100% by the book but as I couldn't find the barley it requested in TESCO, I opted for normal risotto rice as well as a few other adaptations which I'll mention later. Best to just jump right in I reckon. 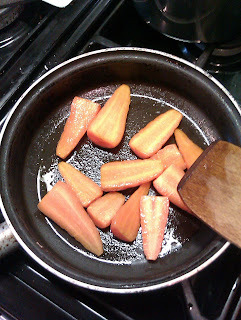 1.Start by heating the oil in a frying pan that has a lid, add the carrots and cook for 8 minutes, turning every two mins. 2. Whilst these are cooking make your risotto as directed on its packet but with your vegetable stock replacing the water and with the addition of the soy sauce. 3. Add the margarine, thyme, garlic and water to the carrots, give it a stir and put the lid on. Leave on a medium heat for 15-20 mins stirring regularly. 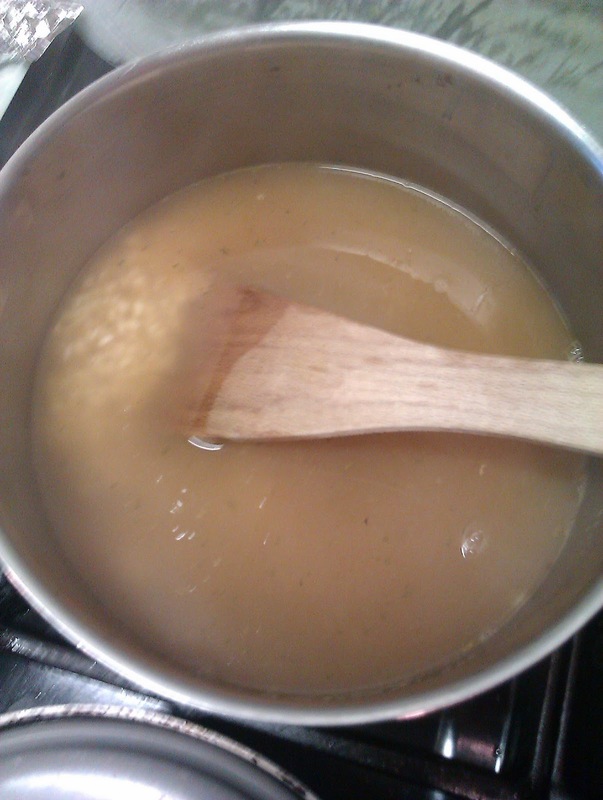 This is your chance to get some washing up done but don't forget to keep stirring the risotto! 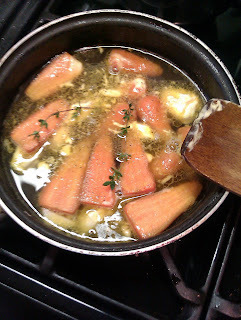 5.If all has gone to plan everything is ready at once and you can layer the risotto into (pre-warmed) dishes before draining most of the remaining liquid from the carrot mixture and arranging it in a fancy way. The book mentions a variation by serving the carrot mixture 'on a bed of couscous' which could be a good shout but as I'm yet to have attempted couscous from scratch I'll have to let you know! 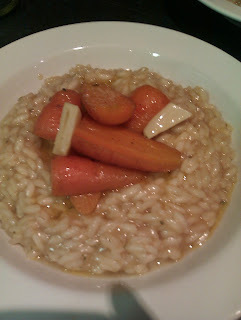 As already mentioned I used far too much rice and I think presentation could have been improved with a couple of sprigs of thyme on top but the taste and texture of the carrots and garlic more than made up for it. So although it needed a few adaptations, this has become one of my go to dishes for last minute meals to impress!